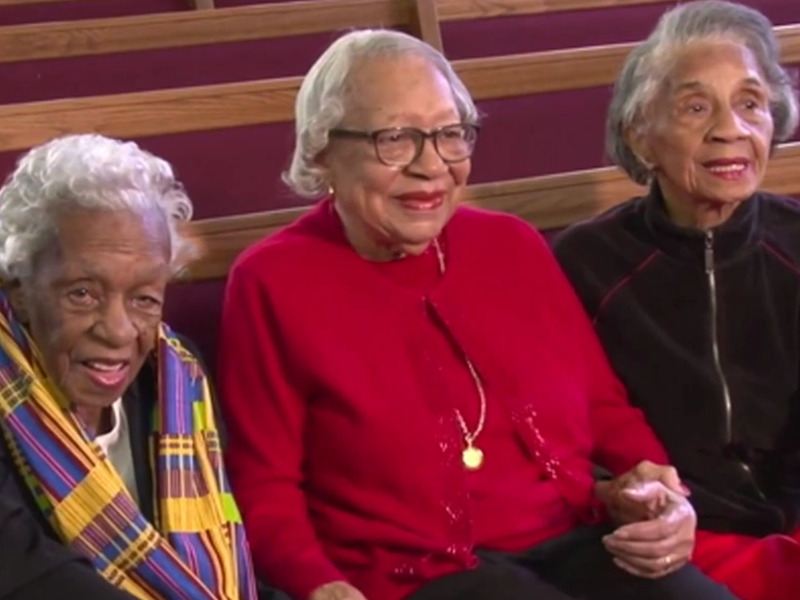 Washington PostCentenarians Elizabeth Hammett, Gladys Butler, and Bernice Underwood. Their 90-minute birthday ceremony was attended by hundreds of people and included a half hour video in which the women doled out advice on life and friendship (including brief-but-wise directives like “don’t talk back” and “respect”). A church member with a connection to Oprah Winfrey even arranged for the celebrity to send the women a video message (She wished them “the grandest and greatest” birthday.) Afterwards, the trio went outside for lunch and cake while guests formed a line to offer them birthday wishes. The women had hoped that they would be celebrating as a group of four: Their friend Leona Barnes died this May, just two months before her 100th birthday. To honour her memory, Hammett, Butler, and Underwood sat with portrait of Barnes during the ceremony.